Emerj Artificial Intelligence Research is where executive leaders turn to understand how AI is impacting their organization or industry – and what to do about it. 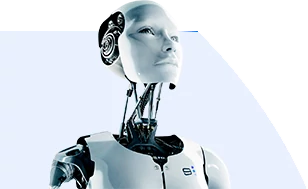 We’re the industry source for authoritative market research and competitive intelligence for the business applications of artificial intelligence. Our objective, jargon-free research and industry overviews are designed to give executives and decision-makers exactly what they need for competitive insight, informed AI technology procurement and strategic planning around AI. AI disruption will open up new vistas for opportunity, creating new business paradigms and making others extinct. Emerj is the best place for leaders to get the facts and strategic insight they need to stay on the winning end of AI’s inevitable disruptions. With a finger on the pulse of academia, Fortune 500s, and the global artificial intelligence startup ecosystem, organizations call upon us for insight and research for their most important AI-related strategic decisions. We present cutting-edge AI industry research, inform executive leadership, and make important contributions to important decisions around governance, innovation, and strategic planning. Applications (“What’s Possible?”) – Examining the landscape of AI applications, open-source tools, and use-cases that might solve organizational problems, or impact strategy. Implications (“What’s Working?”) – Determining the use-cases with a genuine track-record of ROI, and determining the integration costs and potential financial upside of AI applications. Plans (“What to Do?”) – Informing strategy by honing in on the AI trends or capabilities most likely to deliver the desired results or the organization. Through our Research Services and AI Business Strategy Process, we help clients win market share and make more profitable decisions – with a firm grounding in the current realities of the AI landscape. Emerj boasts the largest AI-focused executive audience online, and we’ve earned our place by focusing on jargon-free and executive-friendly assessments of AI applications and use-cases that matter to the C suite. Our audience is composed of executives, technology decision-makers (in government and industry), and government / NGO leaders from around the world. Our interviewees, survey respondents, and expert network hail from globally-renowned organizations like Facebook, Baidu, IBM, MIT, Stanford, Oxford, and beyond. These experts contribute to our cutting-edge market research, and shine light on industry applications and opportunities. Our research and interviews have been featured and referenced in many of the largest and most reputable print and digital technology publications, including: Harvard Business Review, PEW Research Center, The World Economic Forum, Xconomy, and more. Our executive audience comes to us for a pulse on the landscape of AI capabilities in business and government, but “winning” (profit, market share, etc) involves more than knowing what to do now – it involves understanding the dynamics of power within and between sectors, and within and between nations. The control of artificial intelligence in terms of military power, the ability to sway societies, and the ability to guide the trajectory of intelligence itself. That “trajectory” starts with the short-term decisions of leaders, and leads to the fate of humanity. Our research connects the dots between near-term innovation and the trends and forces in a sector that will seperate winners from losers, and determine which organizations gain control, and which lose it. We’re of the belief that the coming decades will be marked by extraordinary opportunities and risks of AI, and that an objective grounding in AI’s applications and implications will be necessary in order to make reasoned decisions about policy and strategic planning. Our business of market research is purpose-led (see “the cause“) by being a conduit to discourse about the beneficial use and governance of technologies that intersect with intelligence. From advertising and lead generation to custom market research and in-depth AI vendor assessments, see our full list of services on our full Emerj Services page. Emerj Artificial Intelligence Research is based in Boston. We do not accept press releases or general PR blasts. Our podcast is always booked solid with guests from paid clients, and we do not accept podcast guest requests from companies who are not advertising or content partnership clients. Business requests will be responded to within 48 hours. Requests for favors or free coverage will always be ignored.